So what’s the key to being a great B2B marketer? If you ask us, it boils down to understanding your clients’ needs, and communicating with them in a genuine, transparent manner. Of course, it doesn’t help to keep exploring the latest B2B marketing strategies, too. In this article, we discuss 5 B2B marketing strategies that can help you bring in more sales and revenue. Now, we know some folks who are firmly #TeamSEO, and who will never consider running paid ads. Some of these people simply don’t want to spend money on ads… and others are of the opinion that an organic ranking is somehow preferable to a paid one. First, you might not realize it - but there are costs involved in optimizing your site for SEO. Yes, you might do your SEO in-house instead of outsourcing it to an agency, but there’s still headcount and man hours involved. For instance, say you get your marketing executive to write a blog article per week. The research, writing, formatting, and publishing takes them four hours in total. That translates into 16 hours, per month. Now, wouldn’t you say this is roughly the same as allocating a small budget to AdWords every month? Google will always, always give paid ads more priority than organic rankings. Say you’re trying to rank for the term “email platform”, for example. The first 4 listings are all paid ads. There’s even a featured snippet below the paid ads… so it’s not that the organic listings are immediately below the fold. They’re way below the fold. You can run yourself ragged optimizing your site till you hit Position One, Page One of Google… but you still won’t get many eyeballs on your listing. Okay, maybe it’s time for me to start experimenting with PPC ads. But is AdWords the best choice, or should I try other platforms as well? Both AdWords and Bing Ads are PPC platforms which can help you reach out to your target audience. Running ads on either platform can be a great B2B digital marketing strategy. That said, each platform come with its specific features and advantages. Now, many business owners who want to venture into PPC automatically default to AdWords… they don’t even consider Bing. After all, Google has dominated the search engine market. That much is obvious. That said, Bing’s network is growing rapidly. More specifically, Bing now commands 34% of the desktop search engine market share worldwide. On top of that, 136 million unique searchers use the Bing Network, and they conduct a total of 5.4 billion searches per month. Bing Ads reach a whopping 63 million searchers that aren’t reached with Google AdWords. Who are these folks, you ask? 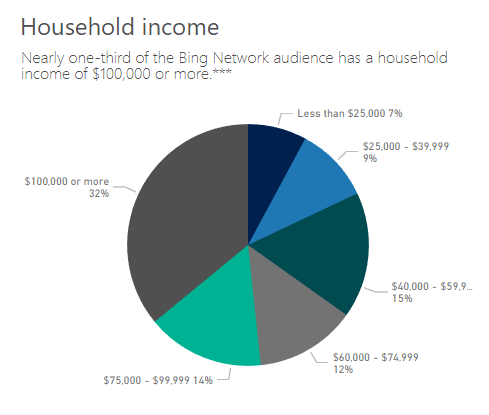 Well, the people who use Bing tend to be older, married, and they also have a higher average household income. In other words, they have more purchasing power. Now, let’s talk about how far you can stretch your dollar with both Google AdWords and Bing Ads. According to ReportGarden, the average Cost Per Click (CPC) on Google AdWords is $20.08, but that of Bing Ads is only $7.99. Well, because Google is the more “mainstream” platform, they have a ton more advertisers as compared to Bing. And because these platforms operate using a bidding system, having more advertisers naturally drives the CPC up. But CPC is only part of the picture… what about overall acquisition costs? 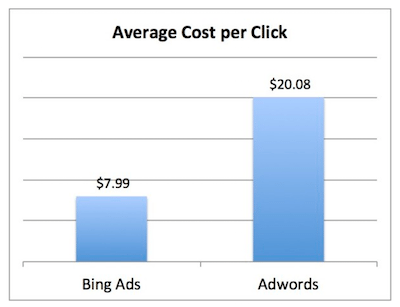 According to this case study, Bing is also cheaper when you’re looking at Cost Per Acquisition (CPA). So does this mean that Bing is, across the board, cheaper and better? As always, results tend to differ based on industry and product, and we can’t say for sure that Bing will definitely outperform AdWords for you. For example, if you have an SaaS company that deals predominantly with startups, and most of the founders that you speak to are in their 20s… then these guys probably use Google, not Bing. That said, there’s no harm in allocating a small budget to Bing Ads, and giving it a shot. Assuming you’ve already set up a campaign on AdWords, you don’t need to recreate this same campaign (from scratch) on Bing. There’s an option to import your AdWords campaign into your Bing dashboard… so all it takes is a few clicks to get everything set up! To learn more about getting started with Bing Ads, check out this guide. 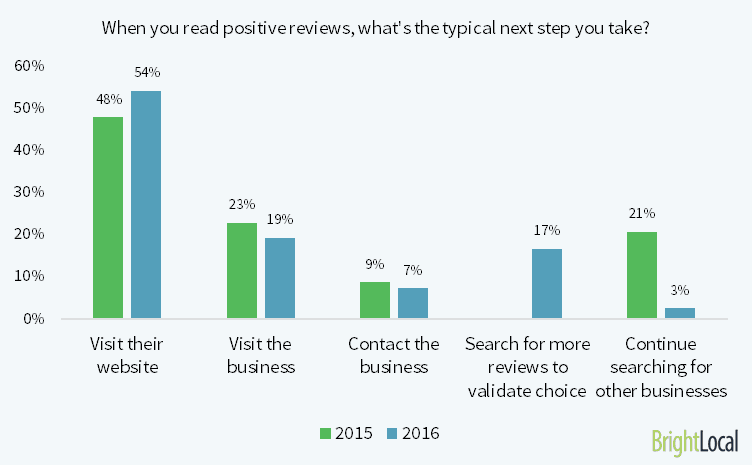 Next on our list of B2B marketing strategies are… third-party review sites! 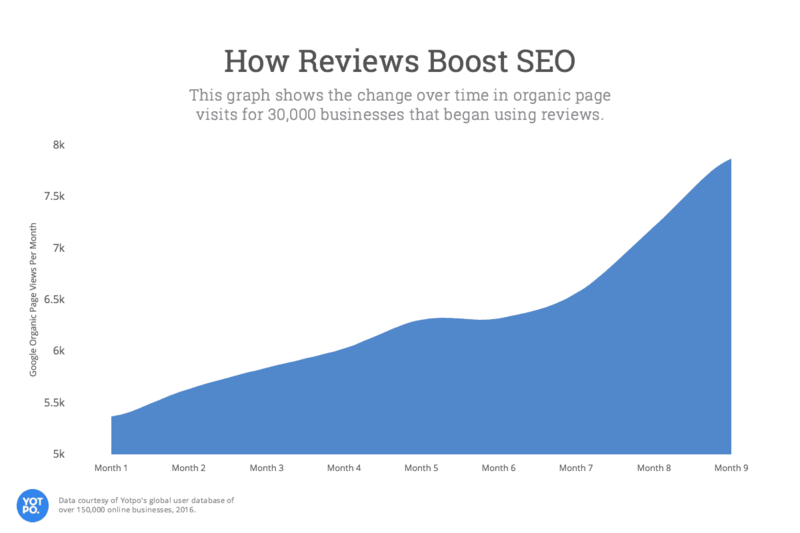 We all know that reviews are great for SEO. And they neglect to get their brands up on third-party sites. Now, we’re not saying that one of these is better than the other. They do two very different things. When you have review and testimonials on your website, you’re building social proof, and nudging your visitor a step closer to converting as a lead or customer. Your reviews on third-party sites, on the other hand, function as an unofficial lead gen tool for you. Now, the key about optimizing your presence of third-party review sites is zeroing in on the ones which have a ton of SEO juice. For instance, say you Google “best marketing companies”. Check it out… the second organic listing is a compilation of marketing companies from Clutch.co. …so instead of putting in all that work to get your website up to Position Two, you can simply submit your company information to these directories, and get a free ride. Of course, if you’re just going to have an empty shell of a profile on these directories, that will only get you so far. According to Clutch, it’s a number’s game. A company that has just 3 reviews, for example, would receive an average of 150 profile views per month. But if you have 6 reviews (which isn’t that hard to do), you’d probably expect 240 monthly views instead. For best results, mobilize all your clients and get them to rank and review you on these sites. What are you waiting for? Ask a B2B marketer what’s their favorite marketing strategy, and they’ll probably reply with anything but social media. Why is social media so unpopular with B2B marketers? Well, most B2B marketers find it a challenge to nail the tone and voice of their brand. If it’s too professional, it runs the risk of being boring and robotic. If it’s too conversational, it might be seen as unprofessional. A whopping 75% of B2B buyers and 84% of C-level executives use social media to make purchasing decisions. If you nix social media altogether, that means you’re missing out on a huge opportunity to connect with these leads. Go ahead and work on that social media strategy… and use employee advocacy to maximize your reach and engagement. If you’re not familiar with the term employee advocacy, this basically refers to the act of getting your employees to share your content on social media. Data shows that content shared by employees receive 8x more engagement than content shared by brands. And these aren’t just pointless Likes that we’re talking about - you’re getting a great deal of Shares as well. More specifically, content is re-shared 24x more frequently when distributed by employees. At the end of the day, if you’re saying nice things about your company using your company’s Page, that doesn’t count for much. But when your employees are sharing your content and vouching for your company, that’s when people sit up and take notice. First up, come up with a social media policy, and make this easily accessible to all your employees. And anything else that you think is helpful. If you’re working on a new product or a project that’s hush-hush, is it okay for your employees to post “behind the scenes” photos? If someone is complaining or criticizing your company, is it okay for your employees to respond to them? Is it okay if your employees talk about potentially sensitive issues such as race and religion in association with your company? If you need some inspiration, check out these 7 sample social media policies from other companies. If you’re trying to encourage participation in a certain activity, gamification is always a good idea. How do you gamify employee advocacy? One way is to use employee advocacy platforms such as EveryoneSocial. These platforms often come with leaderboards that show who’s currently sharing the most content, and generating the most buzz. If you don’t want to pay for a tool, then go ahead and track your team’s employee advocacy efforts manually. One simple way of doing this is by using a URL shortener, such as Bitly. Every time you publish a new blog article, you can create, say, 3 new links using Bitly. Then pass one link to each teams (marketing, sales, and operations), so that you can track which team generates the most shares and views on your blog article. Of course, you should also reward your top sharers every so often. You can treat these people to lunch, give them gift vouchers, or allow them to work from home on certain days. Want to motivate your employees and keep those shares coming? Be sure to show some appreciation, and tell them how much they’re doing for the company. In the last month alone. When your employees see that they’re making a difference, they’ll keep up with their advocacy efforts! When you institute any kind of company-wide change, you’ll probably encounter a few hiccups and bumps in the road. So don’t expect your employee advocacy strategy to go off without a hitch from Day One. You’ll probably have to fine-tune your guidelines and best practices over the first month or so. To aid in this process, actively solicit and listen to your employees’ feedback. After all, your employee advocacy program is really fuelled by your employees, and you have to get their buy-in for it to work. Just keep it simple. Either arrange for a quick 15 minute meeting to discuss your advocacy program, or get your employees to submit their feedback using an online form. If you’re doing the latter, we recommend using Typeform. Now, some companies might get the brilliant idea to make employee advocacy mandatory. After all, if you institute a 2 shares per week quota, and you have 10 employees on your team, that’s 20 guaranteed shares every single week. If you force your employees into participation, they’ll probably do the least they can get away with. So they might share your content, but maybe they won’t bother to write a caption. Or they might post about your company, but maybe they’ll do so in the wee hours of the morning, when everyone is asleep. These employees are probably complaining about your social media policy to all their friends and family. As you might imagine, that will definitely have a negative impact on the general perception of your brand. At the end of the day, it’s really not worth it. You know how 2 years back, inbound marketing was the Next Big Thing? Well, it’s now been replaced by this other strategy - Account-Based Marketing. In essence, ABM involves flipping the traditional sales funnel on its head. Instead of marketing to a large audience, narrowing it down to a few leads, and moving your leads through a funnel, you’re doing the opposite. The first step is to identify a few companies (or accounts) you want to target. Then, you figure out who are the key influencers and decision-makers. Next, you reach out to them using a highly personalized approach. Last but not least, you close them, and turn them into advocates for your product or service. ABM works on the premise that the more targeted your efforts, the better your results will be. If you think about, this isn’t actually all that different from what B2B marketers have been doing along. Say your lead fills out a form on your website, and indicates that he’s interested in your agency’s SEO services. When you get in touch with him, you’d naturally personalize your message to focus more on your SEO services (instead of your digital marketing services). ABM is simply taking this a step further. With ABM, you’re proactively searching for and identifying key influencers, so that you can maximize your personalization efforts. Now, for those of you who are wondering whether ABM is just another hyped-up, faddish strategy, that’s not the case. B2B customers who perceive supplier or vendor content to be tailored to their specific needs are, on average, 40% more willing to buy from that vendor. On top of that, almost 85% of marketers describe ABM as delivering higher ROI than any other marketing approach. Now, how do you get started with ABM? It’s pretty difficult and time-consuming to identify influencers and leads manually… so we recommend using a tool to simplify the process. Albacross, for example, allows you to easily search for your leads by industry, annual revenue, country, and more. Once you’ve honed in on the leads you want to target, it’s time to advertise to them. Using Albacross’s user-friendly dashboard, you can launch your campaigns in a matter of minutes. Of course, you also get access to analytics tools that allow you to manage and measure the effectiveness of your campaigns. To get started with Albacross, click here. Want to learn more about succeeding with ABM? Here’s a great article about ABM best practices. Our final tip out of our list of B2B marketing strategies is all about LinkedIn. If you don’t have a company LinkedIn page, you should create one, ASAP. If you do have a LinkedIn page, the next step is to optimize it so that you can get more leads. At the very basic level, you should format and structure your company page in a way that encourages your leads to get in touch. One important section that you should pay attention to? The “About Us” section. Most companies simply use this section to detail what they do. Make sure you go one step further, and include a CTA as well. Now, we recommend having one CTA (or link) instead of two, because this gives your reader more focus and points them to a single path. If you really need to have two CTAs on your About Us section, carefully consider which one you want to feature first. Their “About Us” is short and sweet, and easily understandable. They also throw in a clear CTA complete with a benefit (it’s a free trial). If we were to nitpick, though, we’d point out that you might get more success with directing your leads to a landing page instead of a home page. In this case, sending to a /demo or /free-trial page would do nicely. Next, make sure that you’re posting content which is compelling and relevant to your leads. According to LinkedIn, you should do so at least once per weekday. As with any other social media channel, you’re aiming for consistency. The more regular you are with your updates, the more your followers and leads will start interacting with you. Timing-wise, LinkedIn says that updates posted in the morning usually earn the highest engagement. So come up with a LinkedIn posting strategy, and start working on getting those updates out. Once you’ve been posting for a week or two, head over to your LinkedIn Analytics, and check out the Updates section. This is where you’ll get an overview of the likes, comments, shares, and clicks that your updates have amassed. Go ahead and analyze the updates with the most engagement, and try and figure out if there’s some sort of pattern. Then use your insights to fine-tune your posting strategy! In a nutshell, Showcase Pages are niche pages which are tied to your company’s LinkedIn page. These allow companies to promote their individual brands and products, and craft messages to target a specific customer segment. What’s the difference between Showcase Pages and regular LinkedIn pages? Can’t you just make two LinkedIn pages to cater to the two different arms that your company has? Well, the key difference lies in the way these are structured. When you have one or multiple Showcase Pages, you’ll get a section on your parent company’s LinkedIn page featuring these Showcase Pages. Say your lead is doing some research, and checking out your company on LinkedIn. From there, it’s easy for them to click through to the Showcase Page they’re interested in. If you have two independent, standalone LinkedIn pages, though, there’s no section that links your lead from one page to the other. On top of that, your Showcase Pages also come with a larger header image, and more above-the-fold update posts. Basically, these are a great way to spread the net a bit wider, and connect with leads who are interested in a specific product or service you’re offering. Is there a limit to the number of Showcase Pages that a single company can have? You can create up to 10 Showcase Pages using your company page, but if you need more, just reach out to LinkedIn and they’ll set you up. These products cater to different customers who have varying needs and concerns, so it makes sense for Salesforce to segment their audience using their various Showcase Pages. To learn how to create a Showcase Page, hop over to this LinkedIn guide. If you’re wondering how other companies are using their Showcase Pages, check out these 5 examples of great LinkedIn Showcase Pages. Like we said at the start of this article, marketing to B2B leads isn’t easy. If you don’t stick it out, all your lead gen efforts will come to waste. Yes, you might get discouraged if your lead doesn’t pick up on the first try. But if you stop there, you’re doing yourself a disservice. And you’re letting that lead go to waste! So toughen up, give yourself a pep talk, and try again. In this line, perseverance is crucial for success!